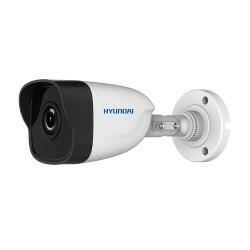 Hyundai IP video surveillance systems There are 21 products. 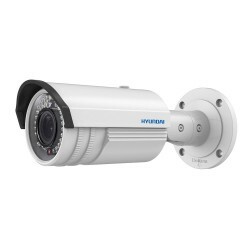 IP bullet camera with IR illumination of 20m, for outdoors. H.264/MJPEG. 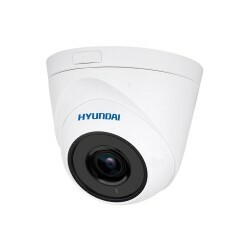 1/2,9” Sony® CMOS, 2 MP. 2MP @25/30 fps. Dual stream. 2,8 mm fixed lens. ICR filter. OSD, digital WDR. 2 way audio Onvif. IP66. 12V DC. PoE. 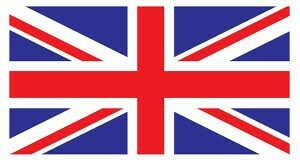 Reset button. Waterproof cable. 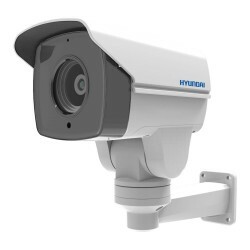 IP bullet camera with IR illumination of 20m, for outdoors. H.264/MJPEG. 1/2,8” Sony® CMOS, 2 MP. 2MP @25 fps. Dual stream. 2,8 mm fixed lens. ICR filter. OSD, digital WDR. 2 way audio Onvif. IP66. 12V DC. PoE. Reset button. Waterproof cable. 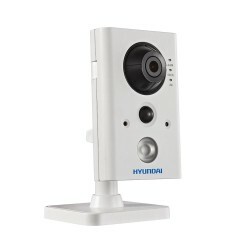 IP compact camera with PIR of 10 m (80º) and IR illumination of 10 meters, for indoors. H.264/MJPEG. 1/2.8" CMOS, Built in microphone and speaker. Alarm: 1in / 1 out. MicroSD//SDHC/SDXC. 12V DC. PoE. 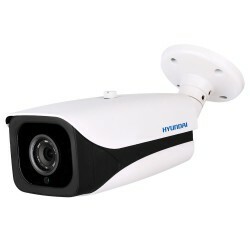 IP bullet camera with IR illumination of 30m, for outdoors, 4 MP. H.264/H.264+/MJPEG. 1/3" CMOS, 4MP. 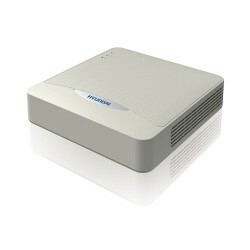 Digital resolution: 4MP, 3MP, 1080P, 720P, etc. Mechanical filter. 0,01 lux. 2,8 mm fixed lens (105,8°). OSD, AGC, BLC, digital WDR, 3D-DNR, motion detection, privacy mask, fixed ROI zones. IP67. 3AXIS. 12V DC. PoE. 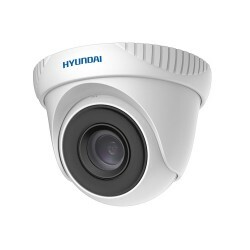 IP fixed dome with IR illumination of 40 m, for outdoors. 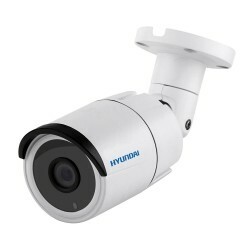 H.265/H.264. 1/3” CMOS, 4 MP. 4MP @25/30 fps. 2,8 ~ 12 mm autofocus motorized lens. 2 way audio, motion detection and privacy mask. Onvif. IP66. 12V DC. PoE. Reset button. Waterproof cable. IP with IR illumination of 60m, for outdoors, 4 MP. H.264/H.264+/MJPEG. 1/3" CMOS, 4MP. 2,8~12 mm motorized lens (108°~31°) with autofocus. IP67. 12V DC. PoE. 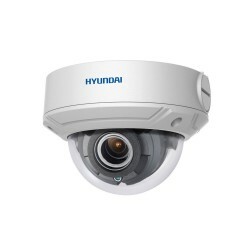 IP vandal dome with IR illumination of 30m, for outdoors, 4 MP. H.264/H.264+/MJPEG. 1/3" CMOS, 4MP. 2,8~12 mm motorized lens (108°~31°) with autofocus. MicroSD/SDHC/SDXC slot. IP67. 3AXIS. Reset button. 12V DC. PoE. PTZ IP bullet camera (15º/sec) with IR illumination of 80m, for outdoors. 1/2.8" CMOS, 2MP. 2.8~12 mm motorized lens. 16X digital zoom. Dual ICR. OSD, BLC, WDR real, ROI, defog. Pan 0°~250°, Tilt 0,5°~10°. IP66. Lightning-proof. 12V CC. 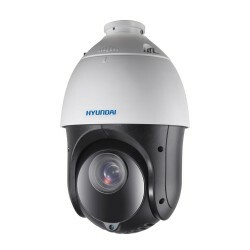 IP motorized dome (80º/sec) with IR illumination of 100 meters, for outdoors. H.264/MJPEG. 1/2.8" CMOS, 2MP. Triple stream. 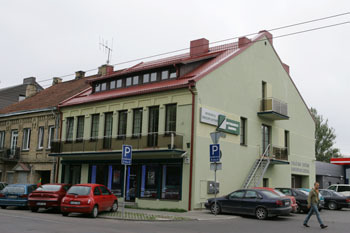 2MP. 20X optical zoom (4.7~94 mm). Intelligent detection (IVS). 300 presets. MicroSD/SDHC/SDXC. Onvif, PSIA, CG, P2P. IP66, Lightning-proof. 12V DC. Bracket and power supply are not included. 4 channel IP NVR. H.264/H.264+. Playback: 2 channels @ 4MP or 4 channels @ 1080P. 4MP display. Recording 4MP, 3MP, 1080P, 1,3MP, UXGA, 720P, D1/4CIF, etc. 40 Mbps. VGA and HDMI output at 1080P. 2 way audio. 1 HDD SATA supported. 2 USB. Compatible with Onvif, P2P, DDNS. 12V DC. Desktop.